Keeping Up With The Joneses: Happy Anniversary!!! Happy Anniversary to David and Jane Jones...also know as Papa and Honey!! 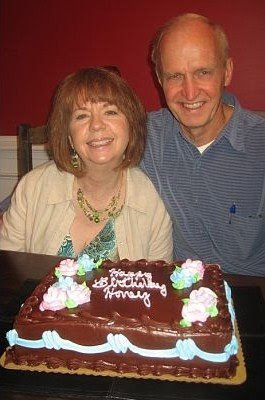 Today, August 9, 2009 they celebrate their 40th wedding anniversary. Congratulations on 40 years of marital bliss. Thank you for being such wonderful role models of a Godly union. I look forward to the day that Bryan and I can celebrate 40 years together. One more special occasion to note: August 9th is also my daddy's birthday!